How to Resolve this "Outlook PST file not found" Error? A Microsoft data file (or PST file) incorporates calendar, email messages, tasks and other relevant Outlook items that are already saved on your computer after getting downloaded from the mail server. Microsoft Outlook products that are stored on your computer system, are preserved in Outlook PST files. It can also be utilized for collecting items from any email account type. Since the size of saved files are not decided on a mail server. So after transferring the items to an Outlook Data File (PST) on your computer, you can easily free the storage space in the mailbox of your mail server. Errors have been detected in the file [PST file path here]. The file [PST file path here] is not an Outlook data file (PST). To remove these errors from your saved Outlook PST files, just use the Inbox Repair Tool for instant resolutions!! Usage of Wrong File System Recovery location details that results in partial or permanent data loss or disaster. Infected with Suspicious Virus or other harmful software. Imperfect or incomplete outlook programs that lead to PST data file corruption. Damaged Networking Devices: While accessing PST files from any client computer using network links, if your network cards, routers, cables, hubs are not working correctly, then the PST files can easily get corrupted. Failure of Data Storage Devices: This issue can happen due to bad sectors on your hard disk that can corrupt your saved original files. Power Failure Issues: If the power supply gets stopped during accessing the PST files, then it can also be a vital reason of PST files damage. How to Repair PST Data File Corruption Issues? 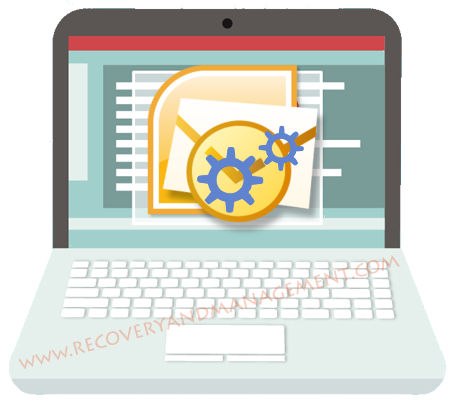 If you suspect any PST file is damaged or corrupted, then you can easily repair Outlook PST file using Inbox Repair tool (SCANPST.EXE) to analyze and repair the auto-generated errors into saved data files. The mentioned tool is installed with Microsoft Outlook (97 to 2016 version) to diagnose corrupt PST files and restore them after repairing. Although, it contains some limitations due to which they get failed to repair PST files properly. In manual method, the chances of partial or complete data loss increases. To deploy manual action, user must have to be technically sounded. Manual method only repair the header part of the PST files. PST file corruption can be occurred at anytime, so it’s our responsibility to save the data as a backup in regular interval of time to maintain its integrity and continue workflow. As mention above the drawbacks of manual actions, its better to go for third-party solution i.e. Outlook PST File Repair Tool. In order to solve this error “Outlook PST File not found” you must try this professional tool. No PST file size limitations (upto 80 GB). We hope that this article will assist you to choose the best method to repair corrupted PST files in Outlook.